Where can you stream Madam Secretary? 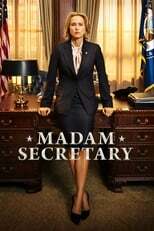 On 2014-09-21 Drama TV Series Madam Secretary first aired on CBS. Written and created by Barbara Hall, and produced by Barbara Hall Productions & Revelations Entertainment, Madam Secretary will return and was last broadcasted on 2019-04-14.